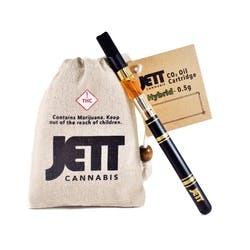 JETT has elevated the entire vaporizing experience by creating pure, high-quality CO2 oil that is full of flavor for a range of effects. Our “Slow and Low” style of processing preserves up to 15% terpenes and offering an entire spectrum of cannabinoids in each batch of our essential oil, we’ve completely changed the game. 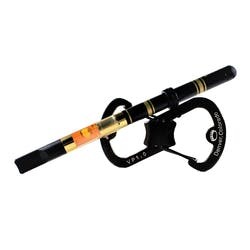 A pure, pleasurable vaping experience is now possible every time, guaranteed. 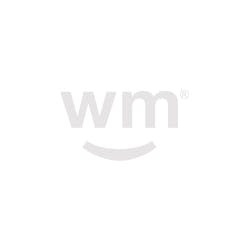 Our ingredients are individually sourced from top-tier growers and cultivators, hand-picked, inspected, and then extracted. 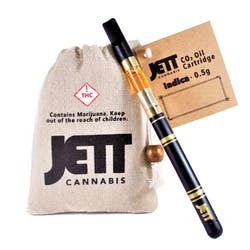 JETT CO2 oil is uncut without additives or outside sourced ingredients. 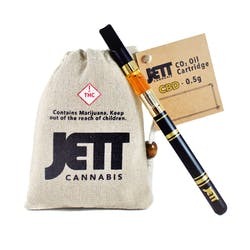 Unlike some companies, you will never find cutting agents such as PG, PeG or MCT in our pure JETT products. 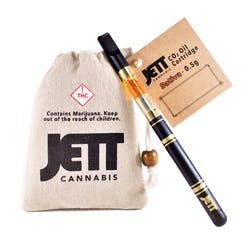 Finally a cartridge that tastes like the strain, gets me high and it lasted me and my friends all weekend. Can't wait to try some of the other flavors. Jett get's five from me in all categories! You can really tell that a lot of hard work goes into making this yummy oil. I'm really impressed how clean it feels and tastes when I vape it. Keep up the good work!